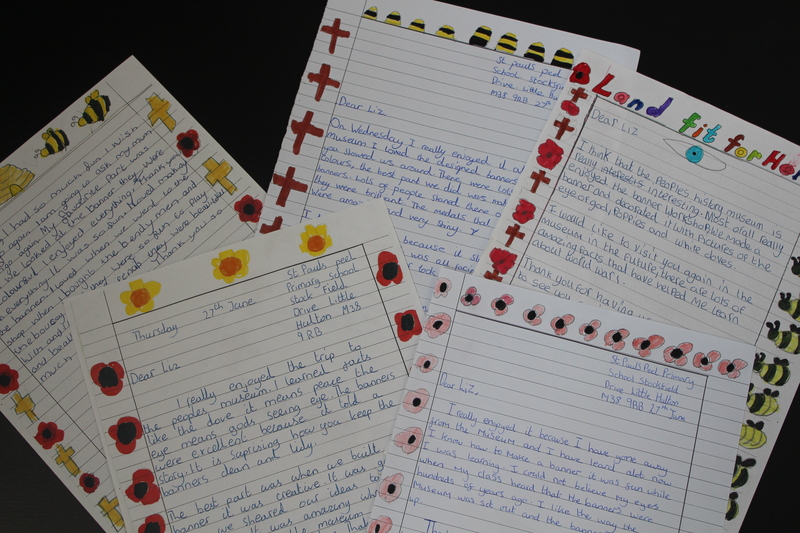 As a qualified primary school teacher and volunteer in the Learning Department at the People’s History Museum I felt extremely privileged to be given the opportunity to create the self-guided resources for school groups for our World War I exhibition A Land Fit For Heroes. 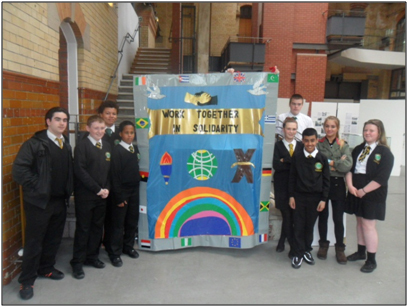 I had seen the exhibition initially taking shape in the form of staff room discussion, floor plans and elevations but as the opening drew closer and the sections were constructed one by one the potential for the exhibition to be used by schools became even more apparent with every placard and banner that went up. I was particularly excited to see the sections for conscientious objectors and conscription. 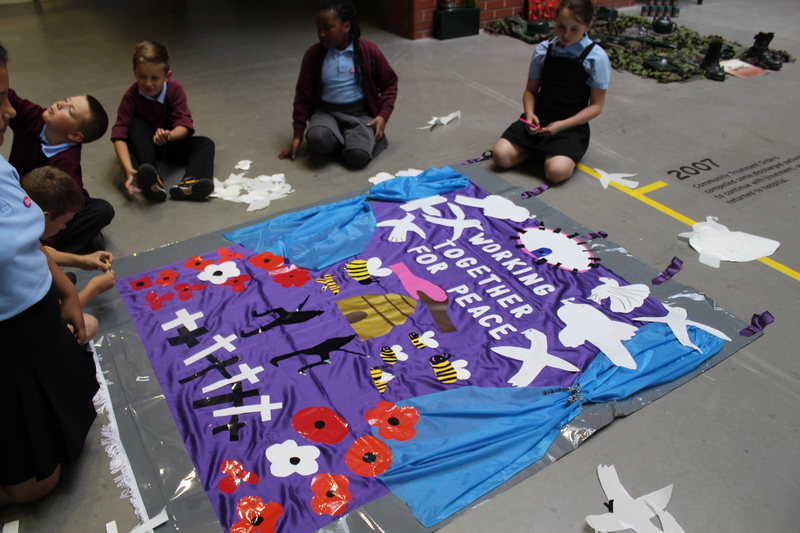 As topics they provide such a good grounding for creative drama activities aimed at getting children to empathise with working class people and their experiences during World War I. What I had not anticipated, however, was the wonderful conscription game that had been made to go alongside the conscription display. The pinball-style contraption demonstrates the difficulty in being excused from conscription as players try to fire the ball into one of the exemption targets (as anyone who’s tried will testify!) and provides a context for discussion exploring the emotions of the men about to be sent to war. 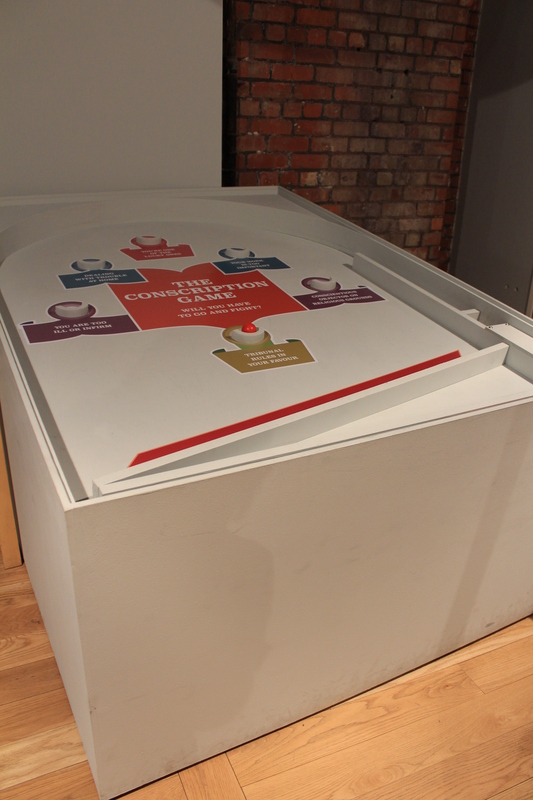 This was just one of many of the installations which help to engage learners in a unique and exciting way. The sounds, videos and interactive sections of the exhibit all make for an inspiring learning experience and work really well in conjunction with the museum’s City Centre Trail and Living History Baddies sessions. For the self-guided materials I wanted to employ activities that fitted in with our Living History sessions, using drama techniques and creative writing methods to explore the thoughts and feelings of people at the time that could either be facilitated by any adult accompanying a group or be completed independently by the students. As a teacher I know firsthand how time-consuming planning and linking activities and trips to the curriculum can be, even more so with the imminent changes to the National Curriculum. 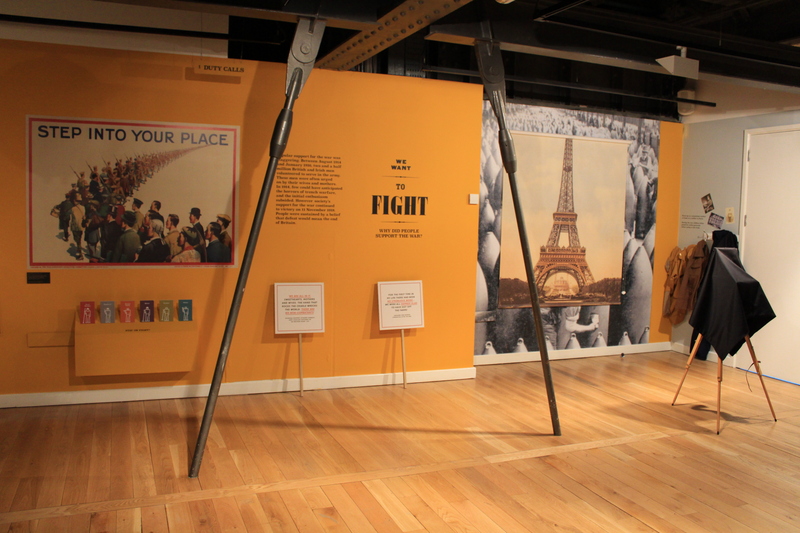 As such, all the self-guided resources that have been produced contain floor plans, teacher’s notes with guidance on how to approach each section of the exhibition and links to the new National Curriculum from Key Stage 2 through to Key Stage 4 and A Level in History, English and Citizenship. 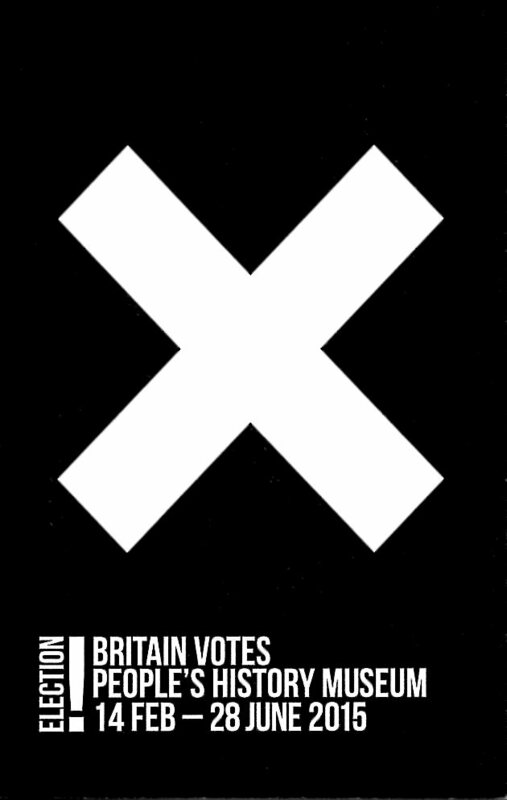 I hope you enjoy using them as much as I enjoyed producing them! We have been taken over! 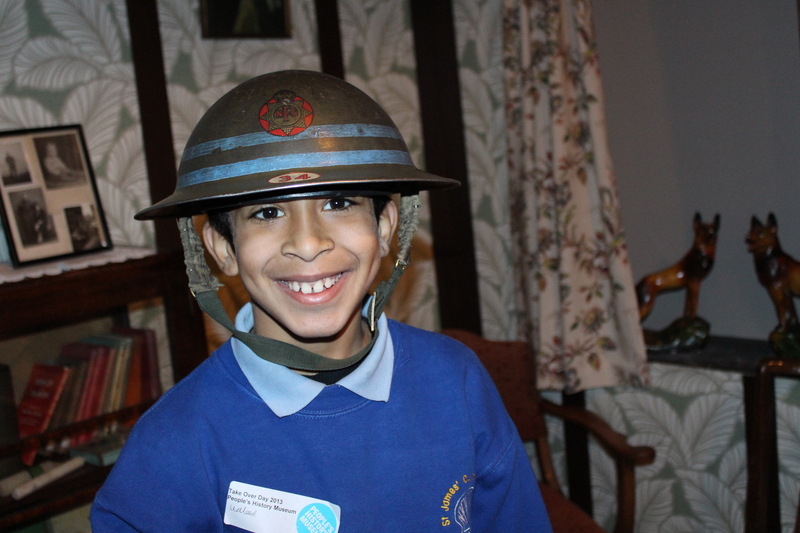 St James’ Church of England Primary School, Birch-in-Rusholme Year 5 class took over the People’s History Museum as part of our Takeover Day celebrations in November 2013. 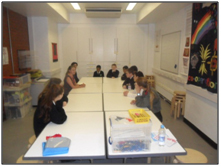 Takeover Day is a national initiative which sees young people across the UK take over museums, galleries and cultural venues. 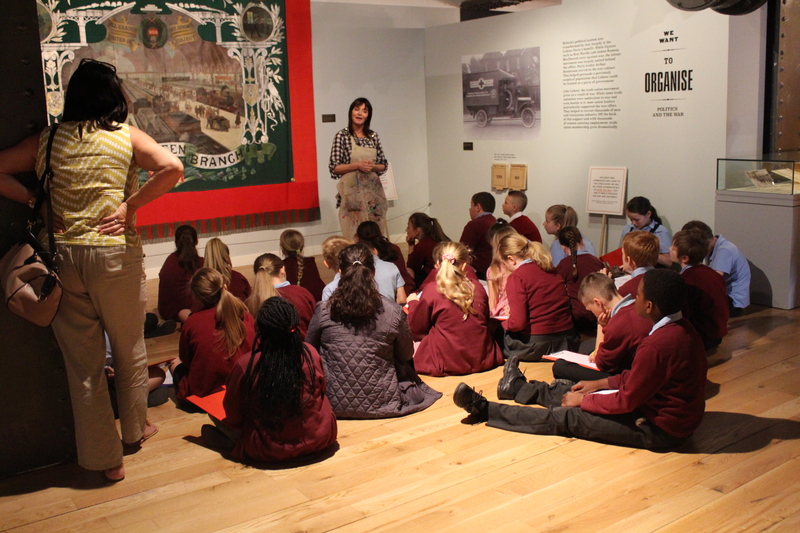 St. James’ Year 5 class took over our Exhibitions, Marketing, Front of House, Learning, Archives and Play Your Part teams! We loved having St. James join us for the day. They helped us with everything from greeting visitors, to writing our Twitter and Facebook posts, to helping us pick our Top Ten Family Friendly activities. 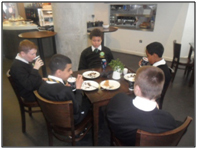 It was such a busy and exciting day that we thought we’d let the students continue their take over and tell you about what happened across a series of three guest blogs. 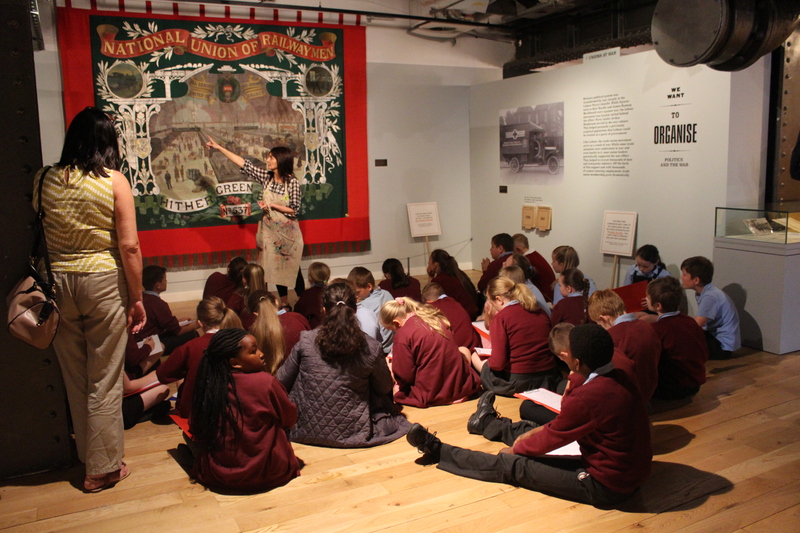 In this first blog you can hear from the Year 5 students who looked after our exhibition displays and also helped out in our Labour History and Study Archive. 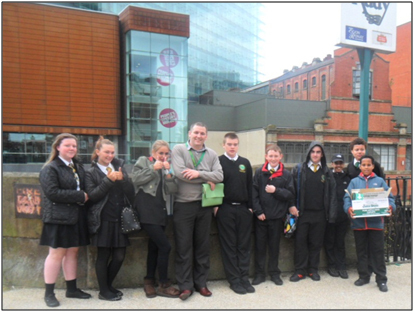 ‘..In my group we went to the archives. We worked in pairs to list photos from when children were in secondary school in the late 1900’s. We had to read the information on the back to work out when it was taken and where. Then we had to put it in a protective sleeve….